Do you enjoy going out to meet with unfamiliar people, complete strangers to speak to them concerning the Gospel of Jesus Christ? Or do you become exceedingly afraid of having to do such a thing, while believing that "someone else" is called to do that ministry of evangelism? Christians should not become discouraged, or deterred from sharing the Gospel with others when the results glorify God more than gratify ourselves. We are not responsible for the response of those who hear the Gospel, but we are responsible to be obedient to the Great Commission and the Great Commission is something that EVERYONE is called to, not just a select few people. The journey of evangelizing the lost is neither comfortable, nor filled with great appeal by those who hear someone preach the truth of Scripture. It’s met with significant opposition, not personally, but spiritually. Just look at how much the Apostle Paul suffered and endured throughout his missionary journeys in the book of Acts. What we sow in the fields of the world is the biblical Gospel, in its truth and without compromise. 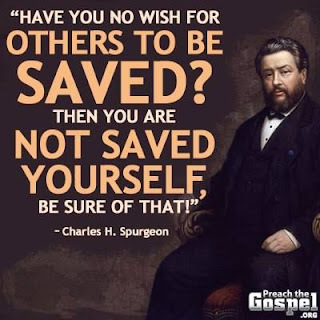 Anything less than that is not the Gospel and anyone who preaches something less than the biblical gospel leads others into becoming a false convert too. It is certainly beneficial to recognize what type of people respond to the Gospel because each one of us were one of these types of people, from the passage in Luke 8:4-15. As much as we should recognize what kind of ground each of us are personally concerning the Gospel and how each person has responded to it, we should also see what kind of ground there is in others, when they hear and how they respond to the Gospel too. It is important to note where Jesus says in verse 10 to the disciples, Jesus is revealing the meaning of the results of the work of evangelizing the lost. But for others, Jesus tells a story to help explain what this means because people in the past have had a hard heart towards God, just like Isaiah had said in Isaiah 6:9-10. If we come to an early understanding that not everyone is going to respond to the Gospel in the manner of repent of their sins and putting their faith and trust in Jesus Christ alone, it relieves the pressure from us to think that because no one responds to this good news that we must be a failure. Agriculture and farming were concepts that the disciples understood very well because farming was part of their cultural lifestyle and Jesus’ illustration of what He said in verses 1-8 are about people going out into the world to proclaim the Gospel. This is a crowd of people who were following Jesus and He was teaching them that while it’s important to follow Jesus, it’s more than just saying you enjoy being with Him, or that you really like His company. His instructions were such that if you’re going to follow Jesus, you also need to tell others about Jesus too. But the interesting part of this illustration that Jesus speaks about is that He tells us that only 1 out of every 4 people that hear the Gospel are going to end up being people who will become fully devoted followers of Jesus. Your success rate is going to be 25%. 3 out of 4 people are not going to follow Jesus as a result of being born again. 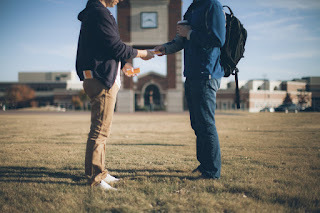 It doesn’t sound like a very persuasive statistic to grab a handful of tracts, or to stand on a small soapbox and preach the Gospel to people as they pass by. The reason why a person who is an unbeliever to start with and remain as unbeliever is that the devil will steal the truth away from them. We might think in natural terms of someone taking something away from someone else that doesn't belong to them, but that is not truly what the text is conveying to us. The Greek word for take away means to cause doubt and isn’t that exactly what the devil did in Genesis 3:1, when he planted the seed of doubt in Eve’s mind concerning what God really said and the consequence of what would happen to them by choosing to eat of the fruit from the tree of the knowledge of good and evil? He caused them to have an unbelieving heart to the truth that God had spoken and the same happens to people even today when they either hear the Gospel proclaimed, or they are handed a gospel tract. A person with an unbelieving heart who dies today, immediately becomes a believer in the reality of hell and its eternal torment and suffering and by that time it’s just too late. Just look at Luke 16:19-31 and the story of the rich man who died and went to hell, while Lazarus went to heaven. The rich man filled himself and his life with everything except for believing the Scriptures concerning eternal judgment for failing to believe God’s Word. He trusted in his wealth more than God and immediately after death, his unbelief became an eternal reality that would be inescapable because of the chasm that permanently fixed and separated him from heaven. The devil wants to see that the people of the church do not go out and evangelize others, do you realize this? He is out there with others and is more active in causing people to doubt the truths about Jesus more than those who are sitting in churches across the country each week. He’s continuing to cause doubt in the hearts and minds of people and the church wants to sit there and say, “I’m not called to do that,” but I’m hear to tell you that the Great Commission says you are! If the devil is out there causing doubt in the hearts and minds of people, leading them to be unbelievers, what will you do to go and make a difference to change that? If you don't have a burden to see the lost come to saving faith in Christ alone, why is that so? Has the Great Commission become optional, rather than a matter of obedience to God? We are either the one who is sowing the seed of the Gospel into a person’s life, or we are the one who is watering their heart with the Gospel again with the hope that they will repent of their sins and turn to Christ now while there is still time. Tomorrow may be too late and if you have an unbelieving heart today, right after the moment of death occurs, there will be no second chance to become a believer to be saved.